Ross County striker Alex Schalk heaped more pressure on Hearts head coach Ian Cathro by firing the only goal at Tynecastle. 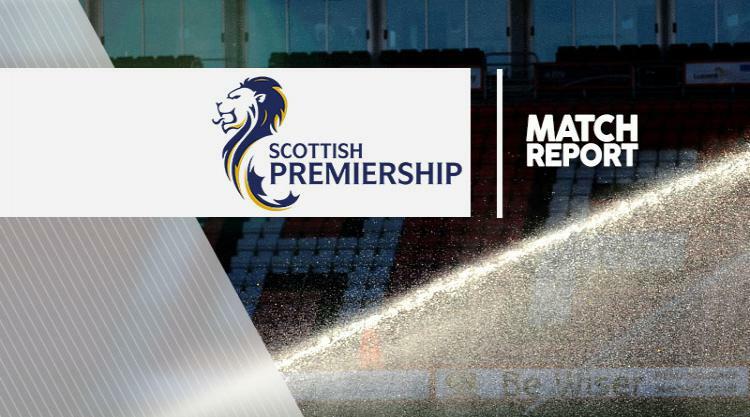 Hearts had laid a new pitch following their draw with Inverness but the same problems continued as they struggled to create chances, although they twice hit the crossbar from long range. And Schalk inflicted a third consecutive defeat on the Gorgie side when he capitalised on slack play from Alex Tziolis in the 51st minute. Hearts have now won just four times in 15 games under Cathro and their latest defeat came against a team who had taken only one point from five Ladbrokes Premiership matches in 2017. The victory was a tactical triumph for Jim McIntyre, whose new-look three-man central defence recorded County's second clean sheet in 22 matches. Striker Bjorn Johnsen and captain Don Cowie returned from injury for Hearts but Jamie Walker failed to recover from a head knock, while Paul Quinn dropped out for the visitors with a hamstring injury. The Staggies created the first chance midway through the half but Jay McEveley volleyed just wide from 15 yards following a set-piece. County had a reasonable penalty claim when Arnaud Djoum clumsily bundled over Tim Chow as the midfielder shielded the ball but referee Alan Muir was unmoved. The visitors were keeping Hearts at bay but Djoum sent a dipping shot off the underside of the bar. The ball bounced out to Johnsen but it would not come down quickly enough and the forward volleyed well over. Schalk showed his danger on the break before half-time, forcing Jack Hamilton to parry his powerful effort, but Tziolis obviously did not heed the warning. The Greece midfielder dallied on the ball 15 yards from his goal after cutting out a Jason Naismith cross and, as he looked for a team-mate, Schalk dispossessed him and drilled the ball into the corner of the net. Things threatened to get worse for the hosts. Chow had an effort blocked amid confusion in the home defence and Schalk had a free header saved shortly before firing home as the offside flag was raised. Johnsen had two headers comfortably saved before County lost McEveley to injury but the hosts were finding it difficult to find gaps in the County rearguard. Hearts hit the bar for the second time when a Tasos Avlonitis volley from 20 yards just did not dip enough in the 81st minute, and the Staggies stood firm to some late pressure.